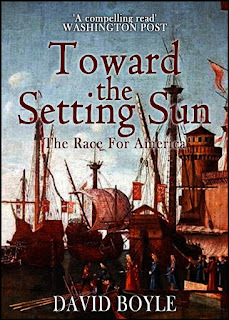 Ten years ago, my book about the rivalry between Columbus, Cabot and Vespucci was published (Toward the Setting Sun, still available!). And for me, two facts became pretty apparent – first, the circumstantial evidence is pretty strong that Columbus and Cabot worked together and then fell out. Second, their respective contracts with the monarchs of Spain and England were revolutionary and remarkably similar. I won’t go into the details here but I have done elsewhere: what the contracts do is give them royal protection to take a slice of every shipment from the new lands they discovered. 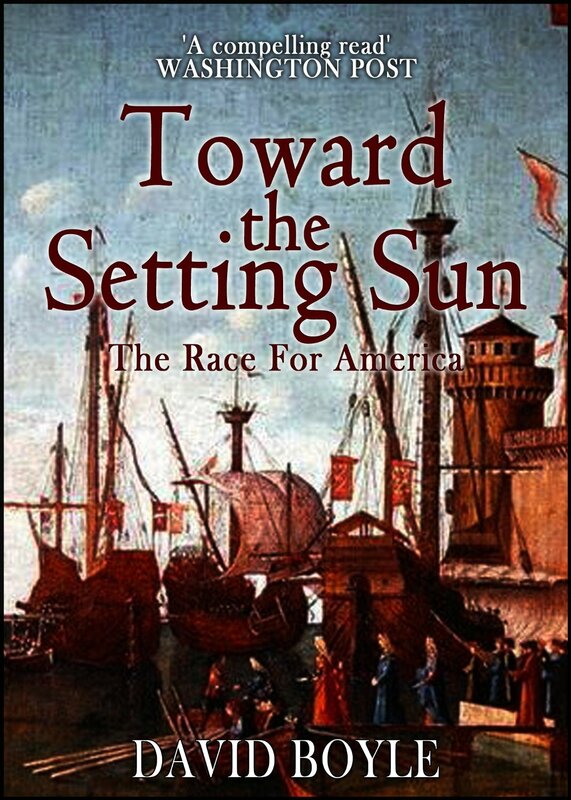 What they wanted to do was become the ultimate rentiers, extracting money from trade from the New World in perpetuity. They nearly succeeded too. Cabot disappeared, at least from history. The court case that covered Columbus and his family’s claims was not settled for another two centuries – Jarndyce versus Jarndyce was but a pale reflection of reality. Every generation or so someone attempts this kind of heist and we are in the midst of another one now. The campaigner Stacy Mitchell is no longer a lone voice in the USA on the threat that Amazon poses to the economy. Her new article in the American political journal The Nation now carries the headline ‘Amazon Doesn’t Just Want to Dominate the Market—It Wants to Become the Market’. That is what reminded me of Columbus. When you allow any institution, public or private, to be the market, you give them unprecedented power, politically and economically. And you inevitably raise transaction costs for everyone. It may not seem so yet on this side of the Atlantic, where we tolerate tyrants in peculiar ways, but in the USA it is increasingly clear that Amazon’s days are numbered. I have read a review ( Rod Liddle , Sunday Times 25 Feb 2018 of James Bloodworth. 'Six Months Undercoverin Low Wage Britain,, saying that this book gives a completely damning account of Amazon's treatment of its warehouse worker = "resembles a prison more than a place of work." . It sounds like a disgusting slave camp to me. I have boycotted Amamzon for a long thime. Except, David Boyle, one can only buy the books you publish via Amazon! A reason I don't rush to buy them! Sorry about the typos in my comment ! 1. Amazon has nearly 90 % of the ebook market. I can boycott them as a customer but have no choice at all when i'm a retailer - one reason why they need to be tackled. 2. Most of my books are also available elsewhere and those that are not soon will be. 3. Most though not all of mine are available at www.therealpress.co.uk. The exception is those published by specialist ebook retailers, but I'm working on them too! Why do voters hate the centre left?